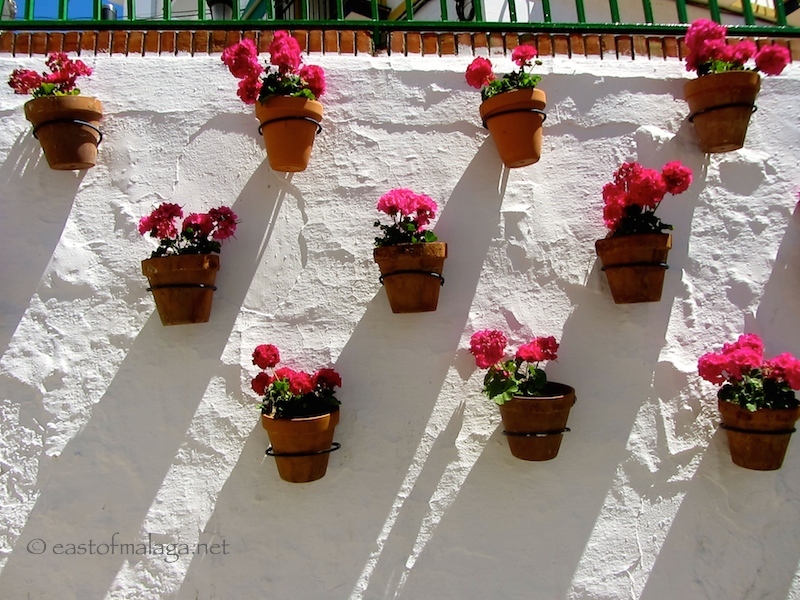 The contrast of the clay pots against the white creates a striking photo. he flowers look like their dancing. love the geometry of it! So very pretty and colourful, and just like the Spain I’ve only seen in pictures and in my head! Hahahaha … yes, I guess it looks like a wall around the corner from most people living in Spain – because it IS! They are everywhere, aren’t they? I absolutely adore the colour against the white walls. Spain is so pretty, it’s a real shame so many people only see the Benidorm type places and don’t explore, there is so much to see and do. Andalucia in particular in my opinion has so much prettiness! Beautiful, I can’t wait to get over there full time! When are you planning on doing that, Kate? Hi Marrianne, I don’t know how I missed this comment. Planning on the full time in the next year or so (I’d be there tomorrow but hubby’s job needs us here for a bit longer). No worries … it’s easily missed! This simple but lovely photo encapsulates so much of Spain’s beauty! Funnily enough, even though I have quite a big garden, I don’t have any pots like this. What a pretty site, what a pretty sight. Exactly what i think of when I imagine Spain. I love bright flowers against stark white! I guess it IS quite a common, if iconic sight, in Spain.